This is a rectangular Flying A Tide Water porcelain sign. This particular Flying A Tide Water sign is predominantly red with white text. 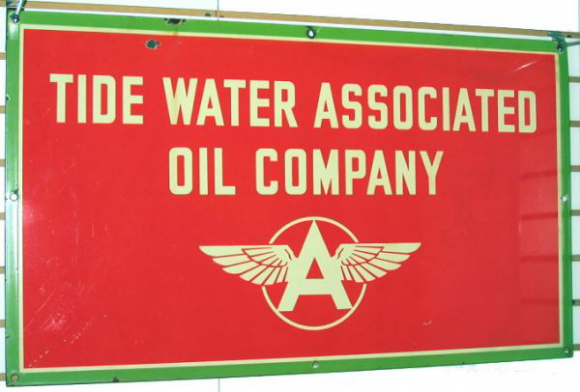 It reads, “Tide Water Associated Oil Company” and features the Flying A symbol at the bottom. It also has a green border.